The Sony Yuga has appeared online in leaked press shots, revealing a whopping screen and some impressive specs. 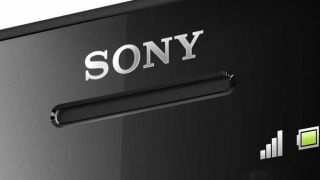 Also known as the Sony C6603, the handset sports a 5-inch, full HD display boasting a 1920 x 1080 resolution and it's rumoured to be the flagship device for the Japanese firm in 2013. Swiss site Android-Schweiz has managed to get hold of a number of photos of the Sony Yuga, showing off a smartphone with a glass front and rear, and a rather bulbous power button on one side. The sealed glass chassis means there's no access to the battery, but the site claims the Yuga does offer a microSD card slot and HDMI port. Meanwhile on that large Samsung Galaxy Note 2 challenging display, the Sony Yuga is reportedly running Android 4.1.1 Jelly Bean, backed up by a 1.5GHz quad-core processor and 2GB RAM – making it as powerful as the Note 2 and Google Nexus 4. Round the back the Yuga is thought to house a powerful 12MP camera, carrying on the strong photographic pedigree from the Sony Ericsson days and handsets such as the C902 and K800i. In terms of a Sony Yuga release date or price we are still in the dark - but if this device really does exist we could well see it at either CES 2013 or MWC in Barcelona early next year.